Old Farmer Johnson was dying. The family was standing around his bed. 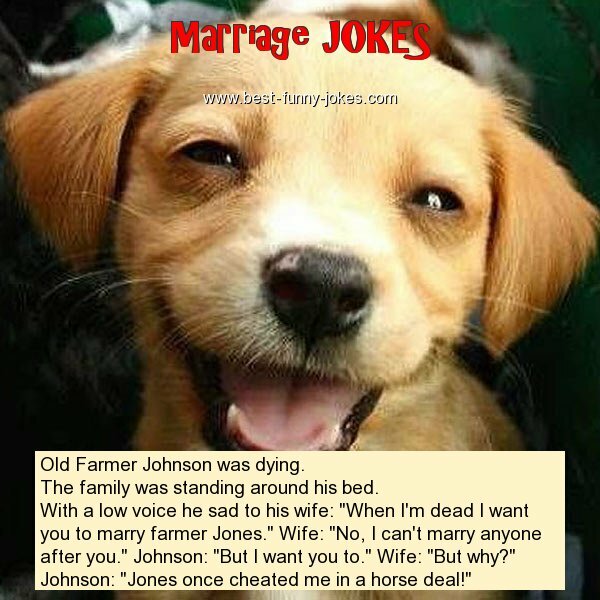 With a low voice he sad to his wife: "When I'm dead I want you to marry farmer Jones." Wife: "No, I can't marry anyone after you." Johnson: "But I want you to." Wife: "But why?" Johnson: "Jones once cheated me in a horse deal!"